Autumn is my favourite time of year. It’s time to dig those scarves out and those cosy wool jumpers. I love Autumn fashion I find for my body shape it’s much more flattering than Summer. I love pairing some of my favourite season clothes with some tall boots and skinny jeans. 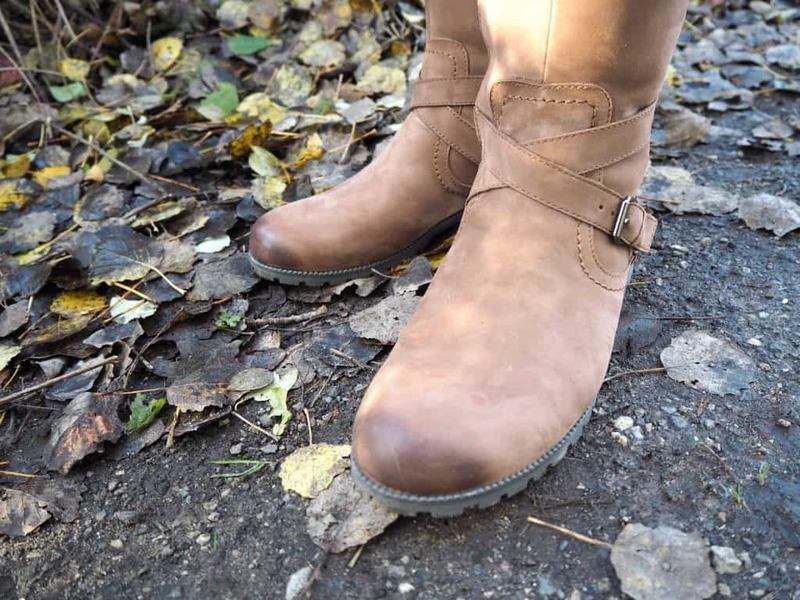 In the past I have struggled to find boots that are comfortable to wear and yet appropriate for my day to day lifestyle of school runs and supermarket trips. I fell in love the moment I saw my Belle boots from Hotter but would they be everything I wanted AND needed in a boot? I put my shoes on in the morning before the school run and I am often dashing about trying to get things done sometimes right up until school pick up. I barely get to sit down some days let alone take my shoes off again. For this reason, its imperative that any shoes I wear are comfortable and hardwearing. I’ve made that mistake before where you think you are getting a bargain with a cheaper pair of shoes only to find that they aren’t fit for much use after a week’s hard wear. I’ve also had those shoes that hurt your feet after only minutes of standing or the ones that are fashionably on trend but impractical for dog walks or standing at the school gates. I want shoes that are appealing aesthetically yet practical and that combination is often hard to find. The Belle boots from Hotter are such a beautiful boot. I adore the dark tan colour and zip fastening. They don’t sag on the leg yet they aren’t tight fitting either. You can easily wear them with a thick pair of long socks or just on top of skinny jeans. They are practical to walk in with a thick rubber sole and good tread. 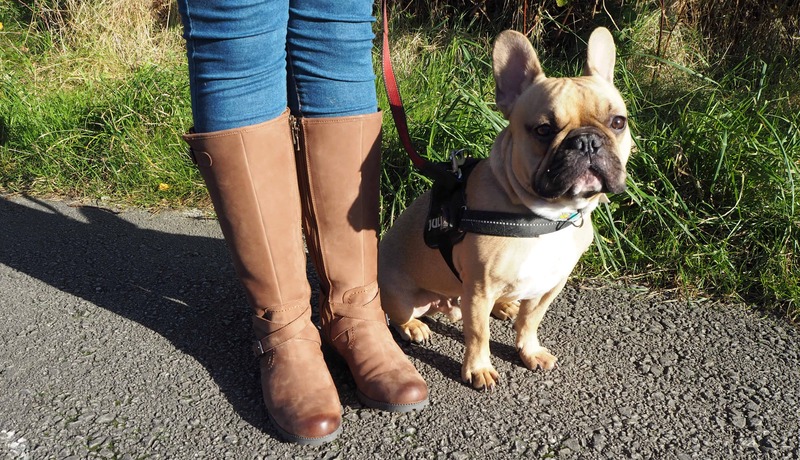 The heal is 1 ½ inch which is perfect for dog walks, school pickups and errand runs. They stylish but entirely fit for purpose which is exactly what I have been looking for. In terms of fit and comfort they are amazing. I’m a shoe size six and they aren’t too snug nor remotely loose. I can wear these boots for the whole day and not feel like my feet are going to drop off which was a huge bonus for me! I must be honest and say this was my first pair of Hotter shoes and I wasn’t really sure what to expect. I had heard glowing reviews from friends but I wasn’t sure if they could withstand my lifestyle. I love the ease of being able to walk the dog, go shopping and meet friends in the same boots without and discomfort or lack practicality. 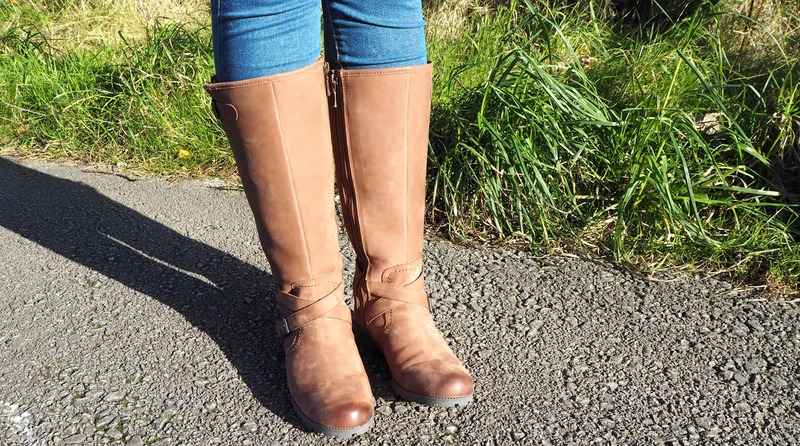 These boots are such a staple in my Autumn wardrobe now I couldn’t imagine life without them! Hotter do such an extensive and beautiful range of shoes and boots in different colours and styles there is bound to be one you just fall in love with. Check out their website here to have a nosey at what they’ve got! I received the Hotter Belle boots on a gifting basis in return for an honest review however as always all words, opinions and thoughts are my own! For more information on any of this please visit this page.